Start off your visit on the 25th (Thu): explore the activities along McDonald Creek. 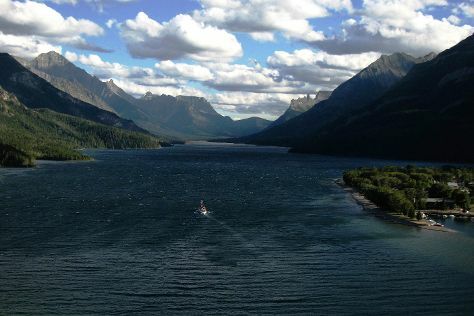 Keep things going the next day: stroll around Waterton-Glacier International Peace Park. To find traveler tips, reviews, photos, and more tourist information, read Glacier National Park travel planner. Salt Lake City to Glacier National Park is an approximately 5-hour combination of flight and taxi. You can also drive; or do a combination of shuttle, bus, and train. Traveling from Salt Lake City in July, you will find days in Glacier National Park are little chillier (85°F), and nights are cooler (49°F). 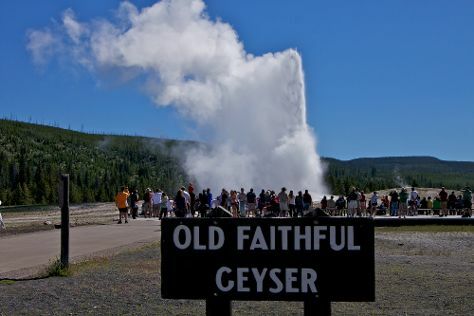 Wrap up your sightseeing on the 27th (Sat) to allow time to travel to Yellowstone National Park. Kids will appreciate attractions like Lamar Valley and Firehole Canyon Drive. There's lots more to do: take in breathtaking views at Grand Canyon of the Yellowstone, take in the natural beauty of Castle Geyser, tour the pleasant surroundings at Trout Lake Trail, and identify plant and animal life at Hayden Valley. To find more things to do, photos, other places to visit, and tourist information, read Yellowstone National Park day trip planner. Getting from Glacier National Park to Yellowstone National Park by combination of taxi, flight, and car takes about 8 hours. Other options: drive. Traveling from Glacier National Park in July, expect Yellowstone National Park to be slightly colder, temps between 73°F and 39°F. Finish up your sightseeing early on the 31st (Wed) so you can go by car to Moose. Moose is an unincorporated community in Teton County, Wyoming, United States, in the Jackson Hole valley. 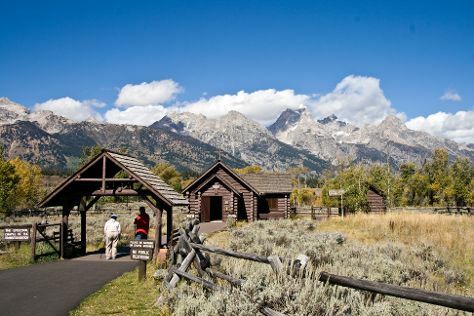 Start off your visit on the 1st (Thu): look for all kinds of wild species at Grand Teton. Get ready for a full day of sightseeing on the 2nd (Fri): take in the dramatic natural features at Glacier View Turnout, trek along Jenny Lake Trail, then explore and take pictures at 42-mile Scenic Loop Drive, and finally contemplate in the serene atmosphere at Chapel of the Transfiguration. For photos, where to stay, more things to do, and other tourist information, you can read our Moose road trip site . Traveling by car from Yellowstone National Park to Moose takes 2 hours. When traveling from Yellowstone National Park in July, plan for somewhat warmer days in Moose, with highs around 79°F, while nights are about the same with lows around 44°F. Finish up your sightseeing early on the 2nd (Fri) so you can travel back home.